G. Lewis + B.C. Gilbert. August 1980. Engineer: Eric Radcliffe. Asst. Engineer: John Fryer. With the demise of the group Wire in 1980, founder members Bruce Gilbert and Graham Lewis joined forces to create Dome. With the assistance of engineer Eric Radcliffe and his Blackwing Studio Dome took the ethic of “using the studio as a compositional tool” and recorded and released three Dome albums on their own label in the space of 12 months: DOME (July 1980), DOME 2 (October 1980) and DOME 3 (October 1981). 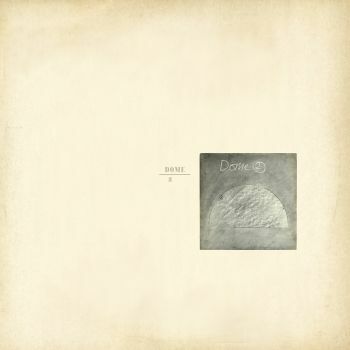 A final fourth album, WILL YOU SPEAK THIS WORD: DOME IV was released on the Norwegian Uniton label in May 1983. These albums represent some of the most beautifuly stark and above all timeless exercises in studio experimentation from early 1980s alternative music scene. Previously issued in the out of print DOME 1-4+5 box set in 2011. Now available as standalone LP with download card.